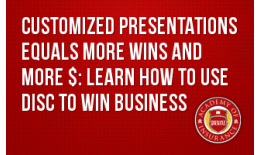 Kathy Ryan, SPHR, is an award-winning author and owner of Pinnacle Coaching Group, LLC. Over the last 30 years, Kathy has influenced thousands of people in the business and non-profit sectors through her coaching, consulting, speaking and on-site training. Her expertise covers a wide range of subjects including leadership, communication, human resources management, team dynamics, and performance management. Kathy earned her B.A. degree in psychology and history from Dickinson College in Carlisle, Pennsylvania and has been awarded a lifetime certification as a Senior Professional in Human Resources (SPHR) from the Society for Human Resources Management. She has experience working with diverse industries including insurance, hospitality and entertainment. She is certified in the use of the Myer-Briggs Type Assessment (MBTI), as well as a number of other assessments and tools to support development. Kathy is author of the book, "You Have to Say the Words" An Integrity-Based Approach for Tackling Tough Conversations and Maximizing Performance, which won a Royal Palm Literary Award from the Florida Writers Association. Her interactive training program based on the book has helped thousands of managers to improve their coaching skills and drive performance. Her articles on leadership and other personal development topics have been published in numerous magazines including the Insurance Journal. 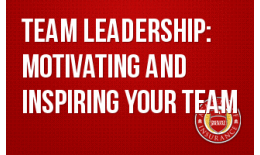 You can follow Kathy’s blog, Inspired Leadership, at www.CoachKathyRyan.com . The ability to effectively prepare for and conduct a productive counseling session is an essential skill in today's workplace. 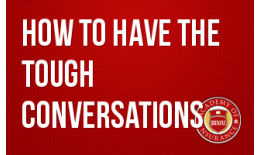 Learn how to conducting the "difficult conversations." 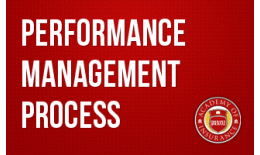 Learn the steps involved in creating and executing a successful Performance Management Process within your organization. 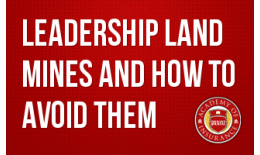 Explore the most common land mines that can undermine your effectiveness as a leader. 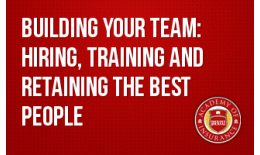 Learn strategies to overcome your mistakes and minimize their impact on your team. In this 5-part webinar, Kathy teaches you valuable skills to become a successful and effective leader. 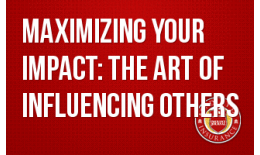 Do you know how to positively influence others in order to lead your team to success? Once you have the right person for the job, how do you ensure that they'll want to stay? 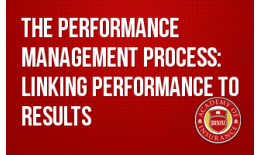 Do you have an effective Performance Management Process in place? Giving feedback isn't always easy, especially when it's not received well. Join this webinar as Kathy coaches us on some positive ways to give feedback. How many people are following you? In order to be a great leader, you have to have people willing to follow you.